Yes, this is a really strange subject line for a health article but you’ll completely understand in a few minutes. Even though I enjoy getting new things, the truth is, I also LOVE finding old things in like-new shape on Craigslist, at thriftstores or garage and yard sales. And when I DO find something awesome for my kitchen or home, I often notice is that it’s in great shape and it’s IN great shape because someone took the time to keep it clean. As with most things though, over time, your new appliances or kitchen tools begin to get worn, stained and dirty. It’s not their fault…you’re just using them as intended…cooking, heating, baking, chopping, toasting. They’re doing their job and hopefully, you’re using them to prepare healthy, healing foods for you and your family. What happens over time, however, is that most people don’t take the time to stop and clean them. What happens as your appliances get dirty is that they often start not working as well…the moving parts (if any) get caked with food gunk (and yes, food gunk is a thing:-), a little worn on the edges, covered with a layer of cooked food stain, etc. The challenge with this is that the longer you wait to clean your appliances or tools, the harder it is to do when you eventually decide to take the time to clean and maintain them. Let’s look at your body through the same lens. When you’re born, your baby body parts, we hope, work like a brand new machine. Your little liver is filtering out the bad stuff from your mom and your environment, your kidneys are doing their part, your heart and veins are open and full of fresh new blood filled with nutrients to help your little body grow, your intestines are filled with great bacteria and other bugs that help your digestion so you get the learn and develop into a full-fledge adult human being. At least that’s the plan…but as you know, things don’t always go as planned. Just like our appliances, the challenge and problem is that we don’t keep our bodies clean. For a variety of reasons, many not of our own chosing, our livers start to get clogged with toxins and chemicals, our kidneys are overworked and don’t filter out the bad stuff, our hearts and veins struggle due to constant dehydration and well, pretty soon we start to feel a little ‘not ourselves’, a little sick. We start to have health symptoms and we start going to doctors to figure out what’s happening in our once new and clean body. 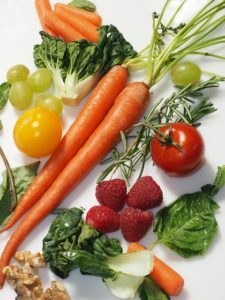 Teaching you about detoxification isn’t the point of this article, and we’ll be posting a lot of articles about detoxing over time from the best experts we can find. The point is to introduce you to a new way of looking at your body, the only body we get, and seeing that illness comes because, for one reason or another, you just don’t keep it clean. Maining a clean, super functioning body isn’t easy. It takes time, it takes knowledge, it takes your attention and it especially required you INtention to keep your body in tip top shape. So, next time you think about eating a cookie ladened with bad fats and sugars or potato chips that are all toxic because of what happens when they’re made, think about how this as if your body was your finest appliance and ask yourself…is this going to make my body cleaner or dirtier? Is this choice going to help it run better and make me feel better or run poorly and make me feel worse. When I get a craving for a food or beverage that I know doesn’t make me healthier, I walk it all the way through. I imagine eating it and feeling better or worse and I usually (not always…this is a practice after all) make the choice that leads to more health and not less. Next time you decide you want something to eat that’s not on your ‘healthy food list’, close your eyes and imagine all of your parts as appliances and then ask yourself which way you want to go…down the road to better health or worse. My money’s on your making more healthy choices with this concept. Good luck with it and keep us posted. We really want to know.